The H-60 Field Inspection Vane Tester enables quick and easy determination of the undrained shear strength of clay. The equipment, that may be carried in a briefcase, is lightweight, and thus a useful tool to provide a rapid check of the stability of foundations, excavations, and trenches in clay. 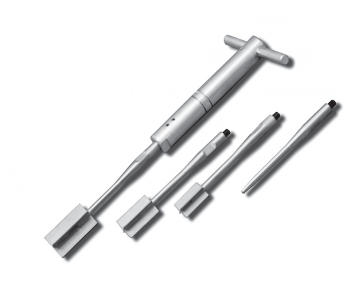 The H-60 consists of exchangeable vanes of various dimensions (16×32, 20×40, 25.4×50.8 mm [extended]) and 0.5 meter rods. The instrument makes it possible to measure shear strength of 0–60, 0–130 or 0–260 kPa, depending on the vane used. The peak value is determined by means of the scale-ring, which has to be turned back to zero position before each measurement. The instrument is strong enough to be used as a handle during penetration and retraction of the vane. 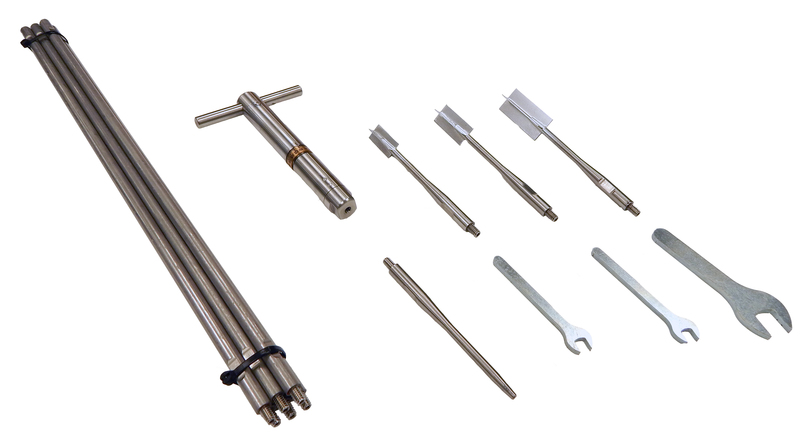 The extension rods have a special design so that the connections have a maximum of resistance against bending. Penetration down to 1–2 meters below the surface is possible in stiffer clays; in soft clays, measurements down to 3 meters have been carried out with reasonable correlation to full-scale field vane tests. To correct for skin friction of the extension rods, dummy tests are performed with rods only.